I received the following memo from WSDOT this week. We are entering the phase of finalizing the funding plan for the Western landing for 520. One of the options is tolling I-90 to pay for the remaining $1.4 billion in work to be done. We currently have enough money in the budget to connect the 6-lane bridge to Montlake, but not go all the way to I-5, and the Westbound connection from Montlake to Foster Island is somewhat crippled. The decision to move forward with construction of the floating and Eastside portions has saved a tremendous amount of money over waiting, and has pushed the decision forward so that the bridge will actually get done. Leaving the 520 bridge in this partially-complete stage would be disastrous – the traffic congestion from the merge would be painful and we would not get the throughput we want. Seattle would not get the mitigation it wants. Tolling I-90 is not the desired option, but it’s our backup plan and we’re doing the study. The memo is about ways to have input, should you so desire. There is a meeting on Thursday October 10th you may be interested in as well. These WSDOT Bulletins are sent on an as-needed basis to inform you of high-profile or important issues. If you would like additional information, please contact me. Beginning this week on Monday, Oct. 7, through Wednesday, Nov. 6, WSDOT and the Federal Highway Administration (FHWA) are conducting a 30-day public scoping period to offer the public, agencies, tribes and other interested parties the opportunity to provide input on the revised purpose and need statement and potential range of project alternatives for the I-90 Tolling Project environmental impact statement (EIS). In 2012, the Legislature directed WSDOT to study tolling I-90 between I-5 in Seattle and I-405 in Bellevue as a way to relieve cross-Lake Washington congestion and help fund the remaining portion of the State Route 520 Bridge Replacement and HOV Program. In June 2013, the Legislature passed Engrossed Substitute Senate bill 5024 amending previous direction to WSDOT by requiring an EIS for the project. From the thousands of comments we received from the public and agencies during the initial scoping period, WSDOT and FHWA compiled a list of possible alternatives that could manage congestion on the Cross Lake Washington Corridor and contribute revenues to the corridor. These alternatives fall into several categories including: tolling, state or regional taxes, mileage fees, federal funding and new highway capacity. 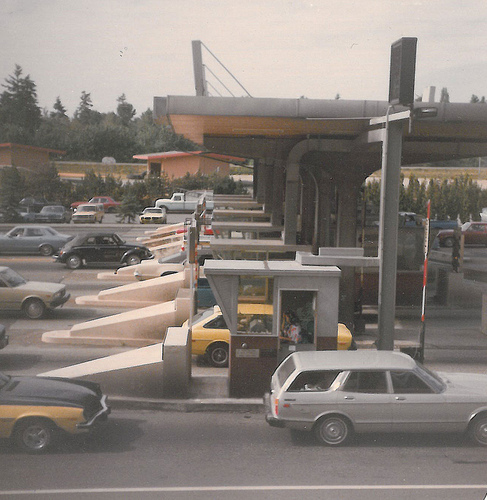 During the upcoming scoping period, we want public input on the potential environmental and social effects of tolling I-90 across Lake Washington and feedback on the list of possible alternatives. By the end of the year, we will publish a scoping summary report to demonstrate the key themes from the comments we received. We will also consider public and agency comments as we evaluate how each alternative meets the EIS Purpose and Need. In an effort to encourage public participation in the scoping process, WSDOT and FHWA will host three public meetings in the Cross-Lake Washington Corridor (meeting details here), and listen to verbal comments from the public. A court reporter will record public input to include in the EIS. WSDOT and FHWA are providing this additional comment option in response to requests from the community. FHWA and WSDOT will conduct another 30-day comment period when the draft EIS is published in spring 2014. The final EIS is scheduled to be complete in early 2015. I hope you find this information helpful in responding to any constituent questions you may receive on this issue.